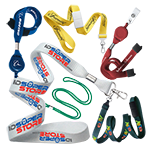 Quickly and easily identify the type of visitors in your building with dye-sublimated lanyards. 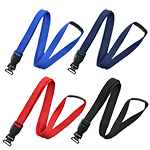 This UltraWeave standard pre-printed breakaway lanyard saves you money on custom printing and serves a variety of purposes. 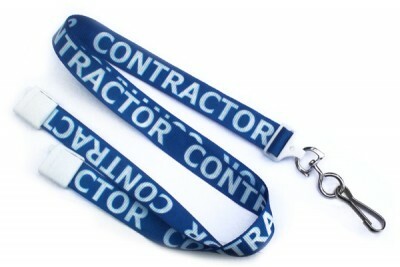 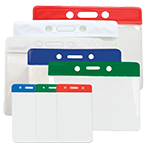 Lanyard printing includes choices such as "Event staff", "Visitor" and "Volunteer". 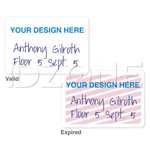 It is 5/8" in width making the pre-printed text highly readable. 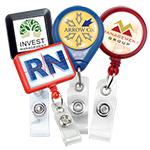 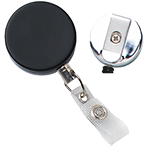 Because it is finished with a nickel-plated swivel hook attachment, this pre-printed lanyard is great for industries where badges or access cards are shared.